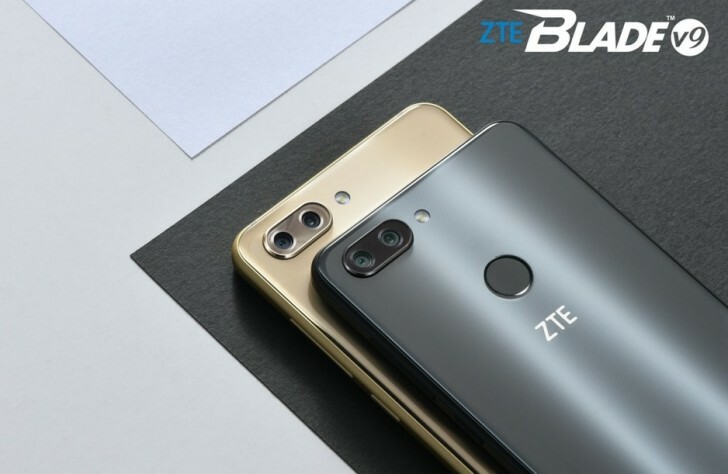 ZTE took the wrapping off a couple of new additions to its mid-ranger Blade line at MWC 2018. Among other thing, the Blade V9 and Blade V9 Vita bring trendy new 18:9 panels to a more affordable price segment - somewhat of a trend this year. The bigger Blade V9 has a glass build on both sides and an aluminum strip, sandwiched in between. The former consists of a total of eight layer, making from an impressive, if smudge-prone, surface. The body measures 151.4 x 70.6 x 7.5mm and weighs in at 140 grams. On the flip side is a large 5.7-inch, LCD 18:9 display, with a resolution of 2160 x 1080 pixels. It comes courtesy of LG and promises impressive brightness and viewing angles. Ticking away inside is a Snapdragon 450 chipset - not the most powerful around, but perfectly adequate for every day use. 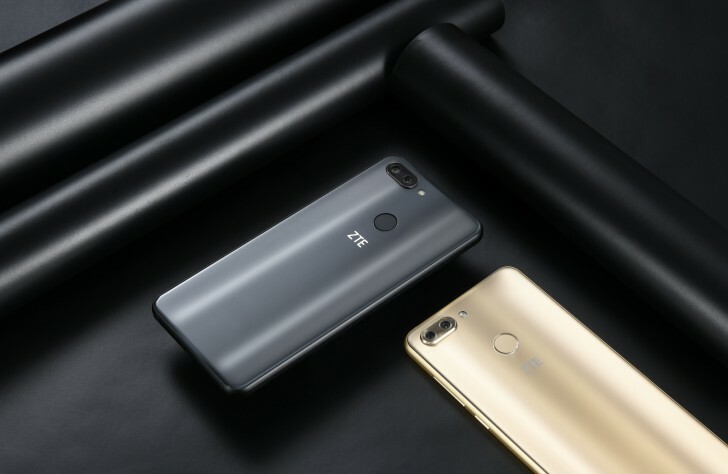 ZTE is offering a couple of memory options to go along with it: 3GB, plus 32GB and 4GB, plus 64GB, for ram and storage, respectively. All expandable through microSD. In the camera department, the Blade V9 is equipped with a 16MP, f/1.8 main shooter, with an Omnivision OV16B10 sensors and a secondary 5MP one, to help along the way and enable features like real-time bokeh and "Re-Bokeh", for adjusting the focus afterwards. The Blade V9 also comes with PDAF 2.0 - a mysterious new system, which will reportedly focus 40% faster. Selfies are handled by an 8MP shooter, complete with optional interpolation, up to 13MP. Other specs include a fingerprint reader, 3.5mm audio jack, microUSB, hybrid dual SIM support, LTE, NFC and Bluetooth 4.2, to name a few. 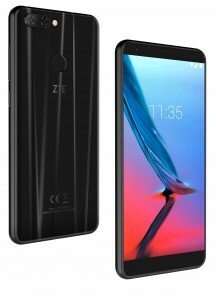 A 3,200 mAh battery keeps the lights on and the phone booths Android 8.1 Oreo, with face recognition and unlock, tweaked by ZTE. The Blade V9 VITA is more or less a light version of the V9. It brings the display size down to 5.45 inches and the resolution to HD+. Naturally, the body is downsized as well, measuring 146.8 x 68.7 x 7.6mm. Chipset is a slightly slower Snapdragon 435 and memory options have been taken down a peg - 2GB, plus 16GB and 3GB, plus 32GB, expandable via microSD. Camera setup on the V9 VITA includes a 13MP, plus 2MP bundle on the back and a 5MP shooter on the front. Most other specs remain mostly unchanged from the bigger sibling, including fingerprint reader, VoLTE support, Bluetooth 4.1, Wi-Fi b/g/n and GPS. Preliminary pricing on the pair starts at $300 and $250, respectively. And you can expect some market-dependant features. 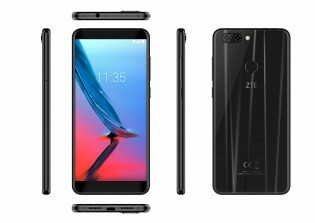 Last, but not least, there is the ZTE Tempo Go - the company's first Android Go handset. It features a simplistic plastic design, along with a 5-inch, 854 x 480 display, 1GB of RAM and 8GB of expandable storage. It is based around the pretty outdated Snapdragon 210 chipset, but hopefully, Android Go's lightweight approach to base features and additional apps can make it work. 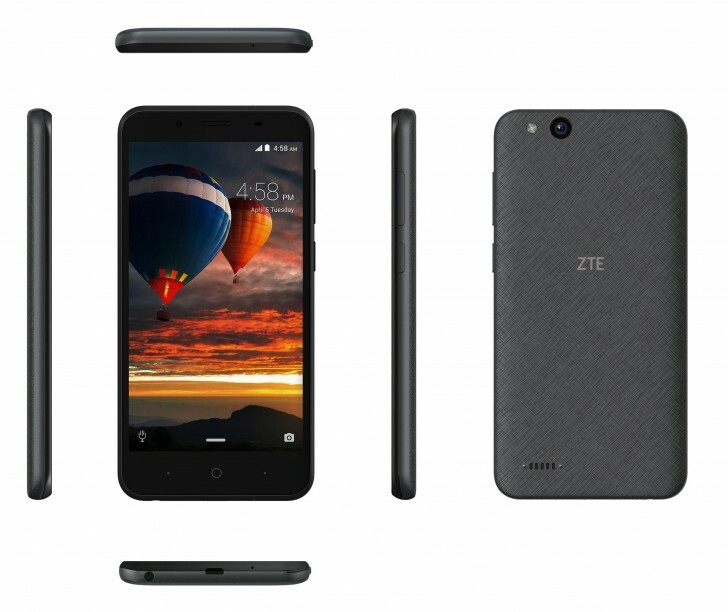 The ZTE Tempo Go will be sold unlocked in the US for $80. That also buys you LTE support, a 5mp rear camera and a 2MP selfie one. Why downgrade from snapdragon 625 to 450?